Academic Staff Tam, Adrian K.
Mr. Adrian Tam is the General Manager, Sales and Marketing of Octopus Holdings Limited (OHL). He joined OHL in 2007 engaging in China business development, and is currently overseeing all merchants acquiring and acceptance for Octopus payment and business development for Hong Kong, Macau and Shenzhen. 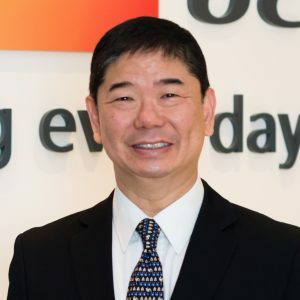 He started his career with retail business units of Jardine Matheson and Dairy Farm Group in 1985, where he held various operations and marketing management positions at 7-Eleven and Wellcome Supermarket. Afterwards, Mr. Tam joined DDB Needham, responsible for promoting the businesses of McDonald’s restaurant chains in Hong Kong and Shenzhen. He joined the telecommunications sector in 1996, holding senior sales and marketing positions in leading telecommunication corporations such as Hong Kong Telecom, Hutchison Global Crossing, SmarTone and Cable & Wireless Global. Mr. Tam holds an MBA degree with Dean’s List honour from The Chinese University of Hong Kong (CUHK) and has been invited by the Department of Marketing, CUHK Business School to serve as Adjunct Associate Professor since 2014. He has been a full Member of The Chartered Institute of Marketing (MCIM), U.K. since 1992, he also serve the community at The Rotary Club of Kwai Chung since 1991.